The Barr & Stroud ‘Sahara’ 10x42 is a rugged go anywhere binocular. Equally at home on the majestic plains of the Lake Naivasha, the beach at Bridlington or a day at the races. This is a compact design that makes an ideal travel companion for those who are looking for a better low light performance than the smaller compact models but who don''t to be burdened with a full size binocular. 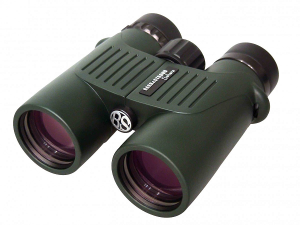 The binocular focuses down to just under 2m making it ideal for naturalists and birdwatchers. The binocular delivers a powerful 10x magnification. The Sahara 10x42 binoculars are supplied with carrying case, rain guards, tethered lens caps, straps and lens cleaning cloth and feature a 10 year manufacturers warranty.